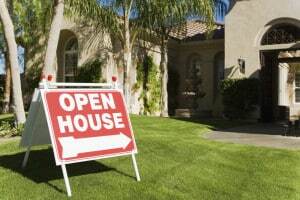 Are your open houses getting the notice they deserve? You have your seller doing all the right things to interest buyers once they arrive: every inch of the property is spotless, rooms are uncluttered and tastefully arranged, and fresh cookies are scenting the air. Now all you have to do is get buyers to the property! While the theory of open houses has remained unchanged through the years, the methods of marketing them have undergone a massive shift in recent years. Use these tips for successful open house marketing to create a coordinated online and offline campaign that gets your listing noticed! Now that the vast majority of home buyers start their search online, real estate agents that focus on digital strategies are having the most success marketing their open houses. The beauty of using digital real estate marketing strategies to promote your open houses is their cost-effectiveness; you can use the same marketing material in a variety of ways to raise your properties’ profile without raising costs. You can create a dedicated channel on YouTube for the property; with videos of the listing and the surrounding neighborhood on YouTube to create a video storybook on a dedicated channel. About two weeks before your open houses, post a photo and an invitation to the open house on your Facebook page, and follow up with a video post a few days later. Tweet enticing details about your open house to your followers, and don’t forget your email subscribers; you can send out an e-vite to the customers on your email newsletter list who are interested in residential listings, using one or two brilliant, high quality photos with links to your real estate website and the listing’s YouTube channel. Videos and photos are great tools for marketing your open house, but simply shooting some video on your tablet or smartphone is not going to create a big enough splash to bring in large numbers of visitors you want at your open house. Using a professional videographer to capture the best features of your open house property can make an enormous difference in the quality of your video. Make the best use of video technology by applying real estate SEO strategies to optimize your videos so your pages get the top ranking position on search engines. On the day of your Open House, greet visitors with a polished, high-quality open house handout design that stands out from the rest. Printing out a sheet on your inkjet cannot compare to the impression made by a professionally designed and printed, glossy full-page Open House handout. For the greatest impact, carry your professional Open House handout design onto mailing materials and your Facebook and real estate website design for a coordinated campaign that packs a punch. Let the marketing experts at For Sale Marketing supercharge your open house marketing strategies! We can provide you with everything you need to conduct a coordinated online and offline marketing campaign for your open houses: professional real estate media services, including photography, video production, and optimization; open house handouts designed by our skilled graphic artists; and expertly optimized website headers and Facebook cover photos that combine to make a polished, professional impression. Contact For Sale Marketing today at 954-635-5168 and let our marketing team help you market your open houses more effectively to get your properties noticed!